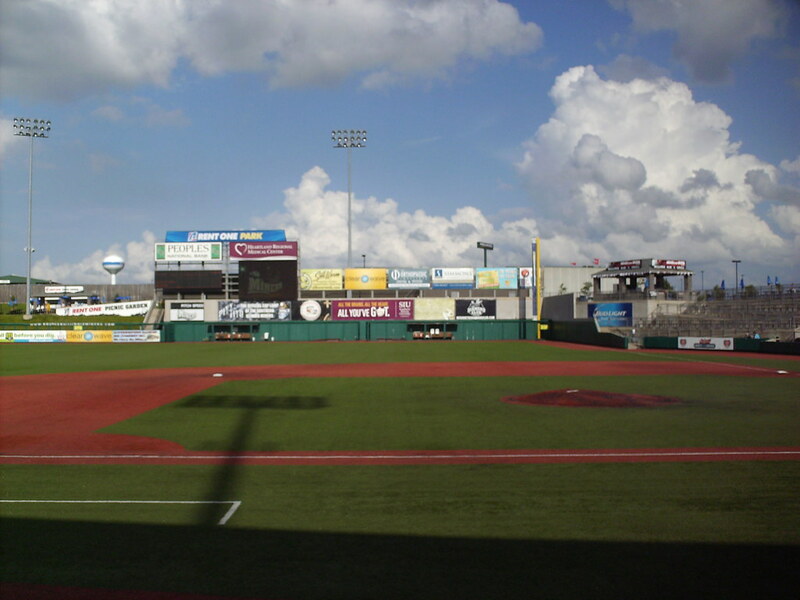 The view from behind home plate at Rent One Park. 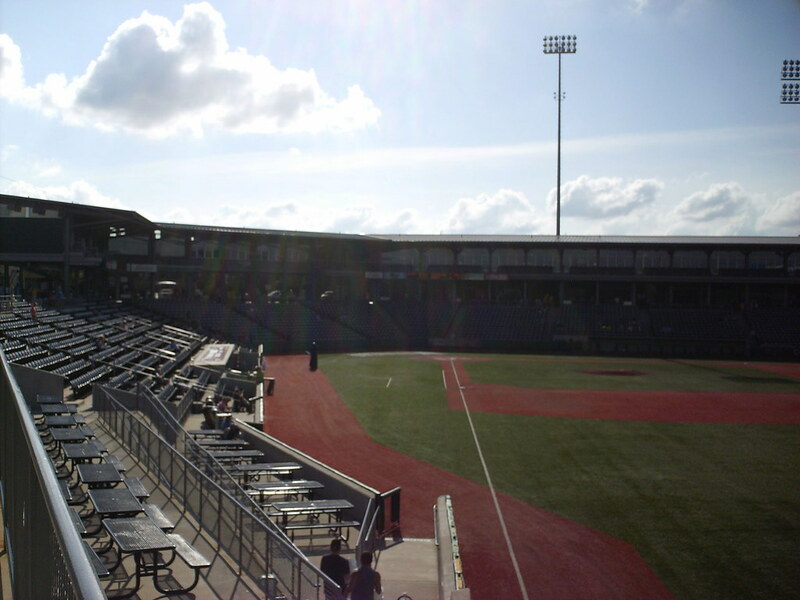 The grandstand at Rent One Park as seen from the right field corner. 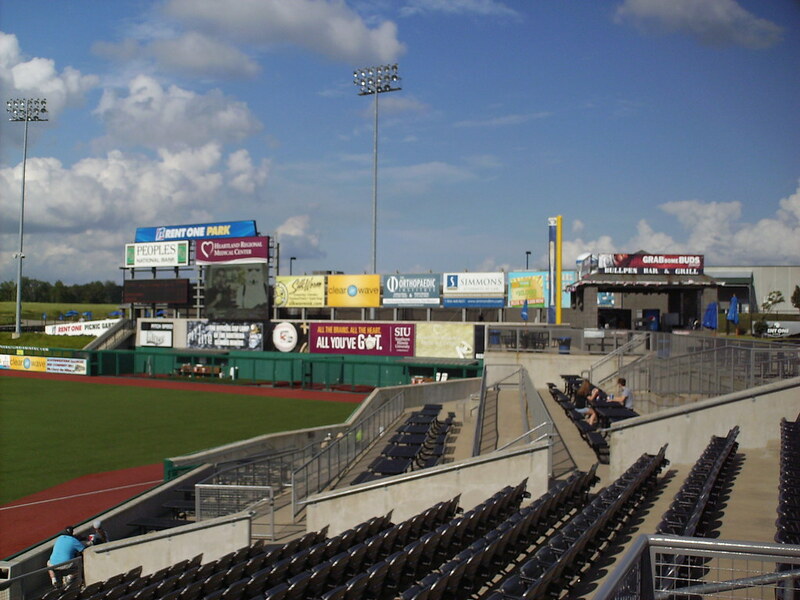 Luxury boxes on the second level behind home plate. 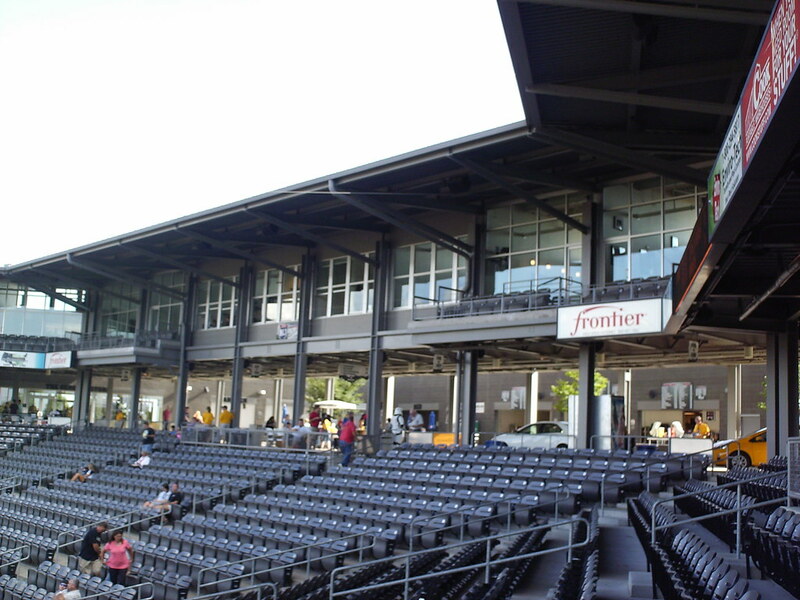 Tiered picnic table seating underneath the bar and grill in the right field corner. 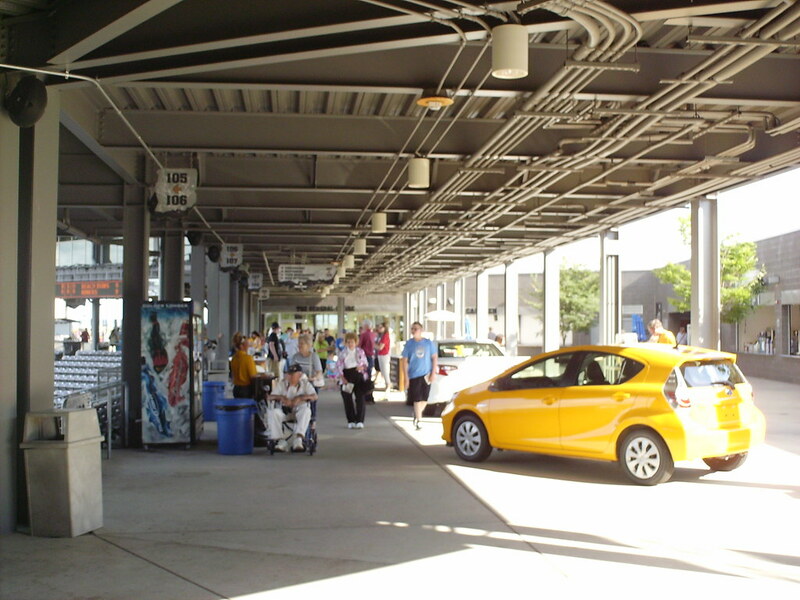 The concourse lets fans view the game from under the upper deck, then opens up to a landscaped area with concession stands and tables. 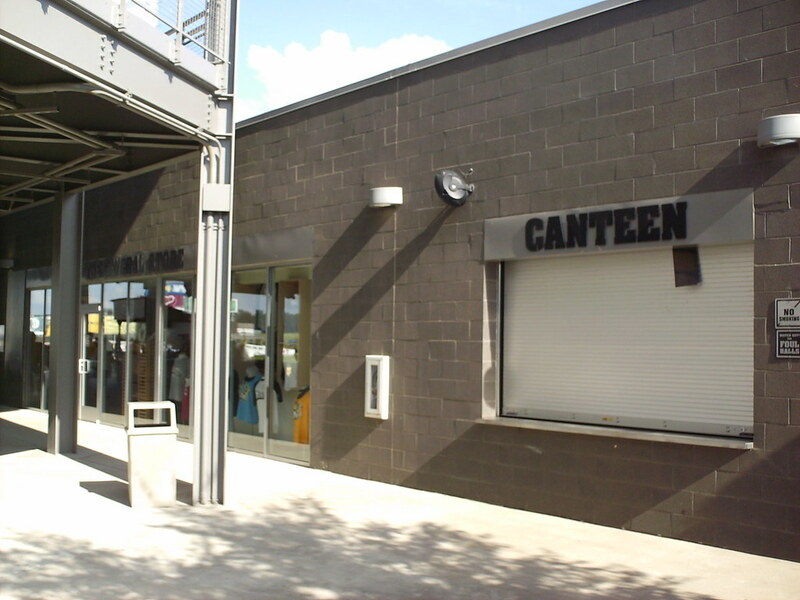 The miner theme is reflected throughout the park with food being served at the "canteen" and merchandise sold at the "general store". 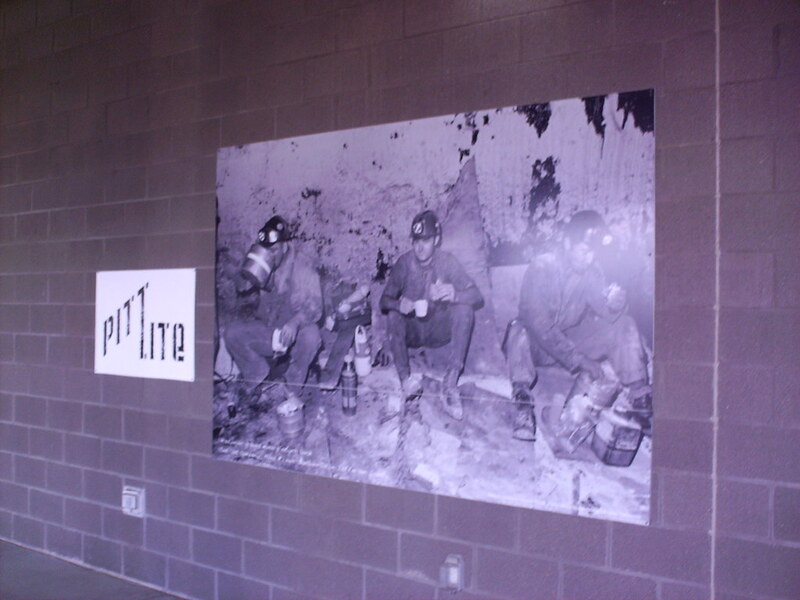 Photos along the concourse wall celebrate Southern Illinois' mining history. 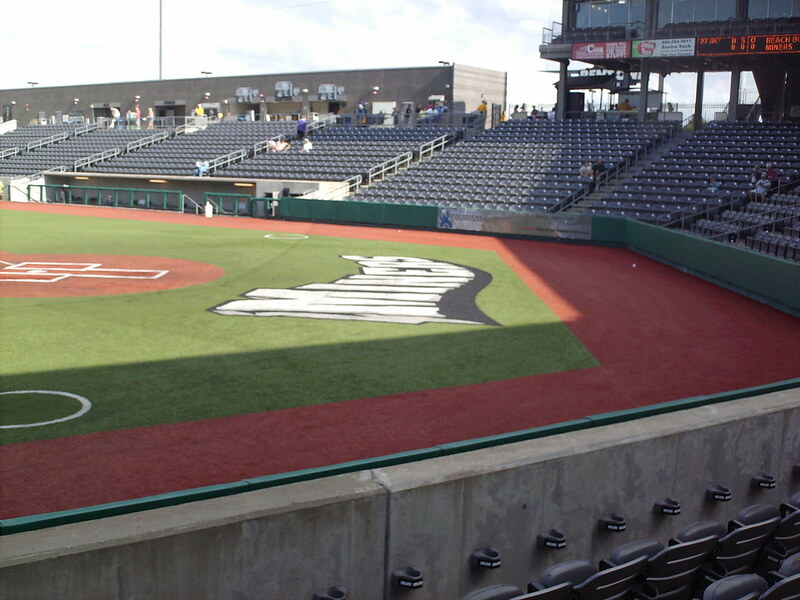 Berm seating wraps around from the end of the end of the third base stands around the foul pole and behind the outfield wall, which is chain link in left to let fans watch the game through the fence. 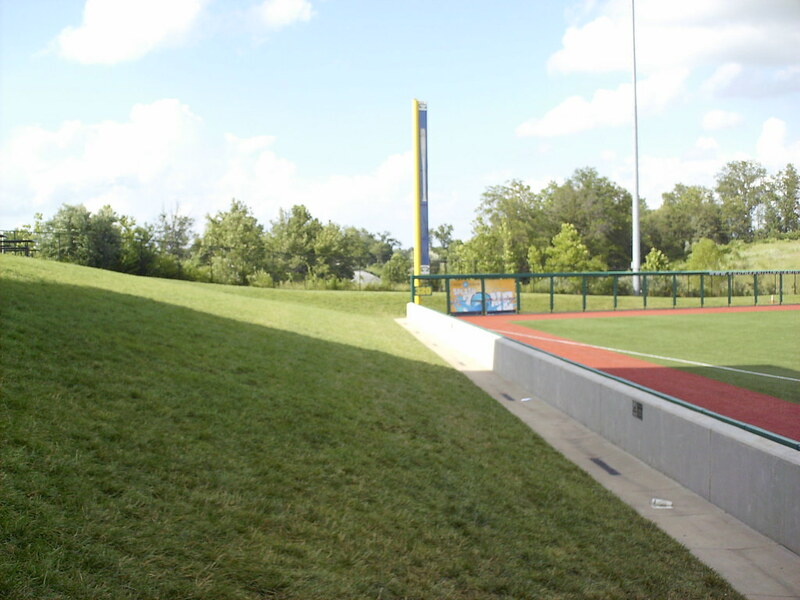 Foul territory behind home plate. 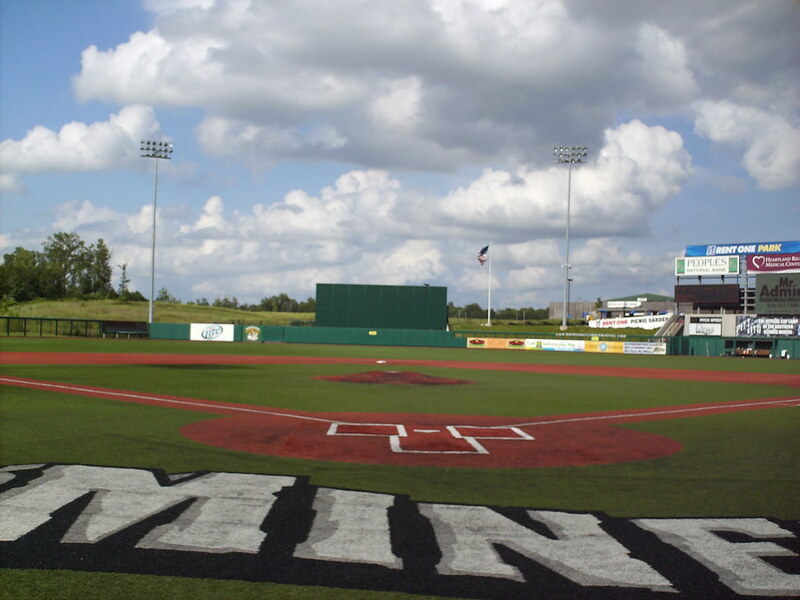 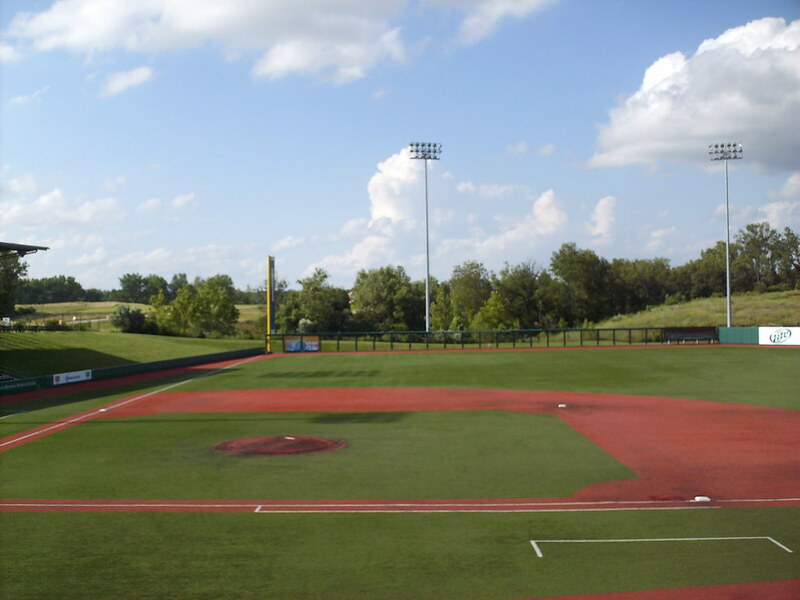 Like many Frontier League parks the field features artificial turf. 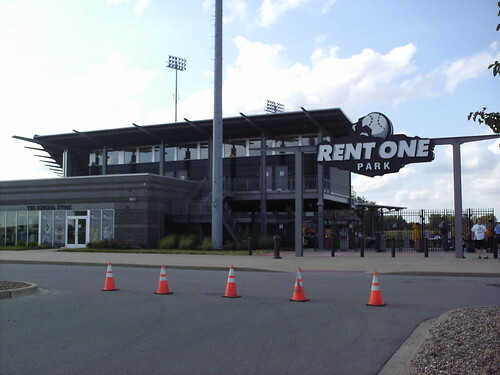 At Rent One Park even the mound and bases are artificial. 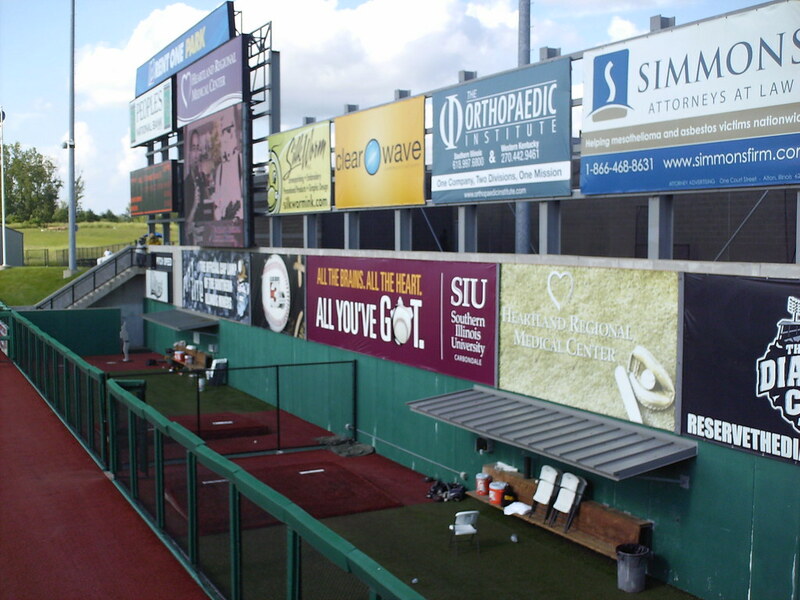 The bullpens sit side by side underneath the scoreboard in right field. 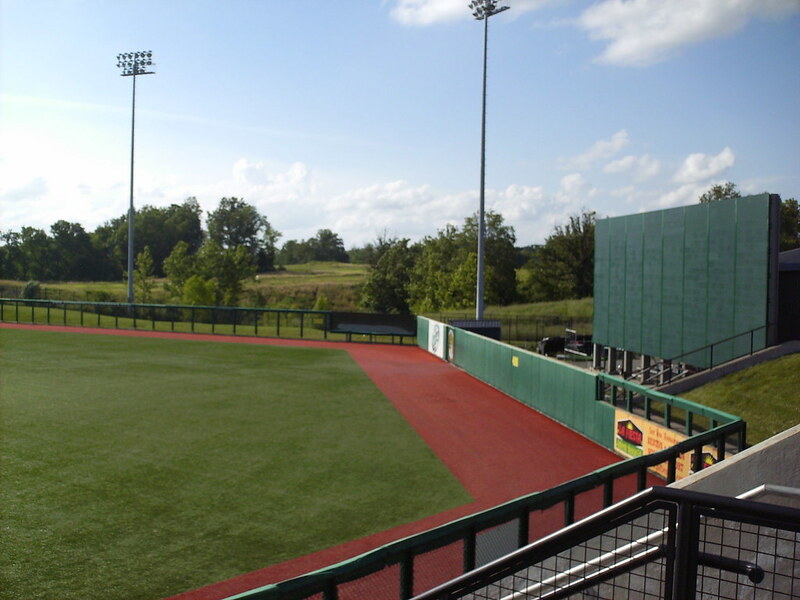 The outfield fence makes a sharp corner on either side of the batter's eye in center field. 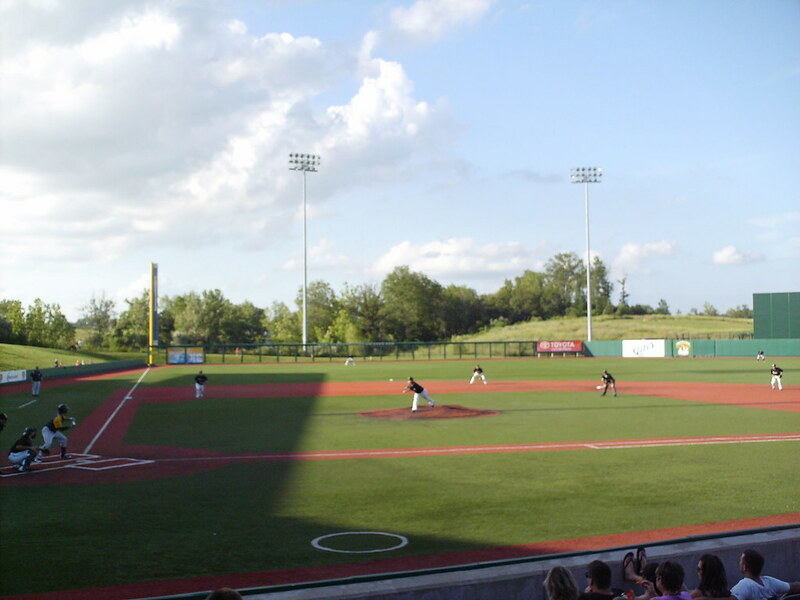 The Southern Illinois Miners on the field during a game at Rent One Park.